Magnitude Software is the leading provider of Enterprise Information Management (EIM) software that drives real business value for customers. 3i Group plc said March 19 that it will invest $179 million in Magnitude Software Inc. The enterprise value of the transaction is $340 million. Magnitude, of Austin, provides unified application data management solutions, operating in the US, the Netherlands, UK, Canada and India. Magnitude Software, a portfolio company of Audax Private Equity, has acquired Lewisville, Texas-based Z Option, a provider of Excel-based tools for SAP data management, according to a company announcement. No financial terms were disclosed. Magnitude Software, a portfolio company of Audax Private Equity, has acquired Gouda, Netherlands-based Every Angle, a provider of self-service reporting and analytics solutions for any SAP system. No financial terms were disclosed. Why Nudge.ai? Reach out to the decision makers at Magnitude Software with a personalized email - let them know that you found their recent news mention interesting. Nudge.ai’s relationship intelligence platform can help you find the right executive to reach out to at Magnitude Software, such as Bill Hewitt, CEO, or Susie Buehler, . Then get in touch and start a conversation. Executives can be difficult to reach, but every company has connectors who bring together people and ideas. At Magnitude Software, people like Darren Peirce, and Chris Ney are likely connectors. When Magnitude Software is mentioned in the news, Nudge.ai often sees topics like Freelancing, and Recession. If your conversation focuses on these topics, you’ll probably get Magnitude Software’s attention. When Magnitude Software is mentioned in the news, companies such as Cloudera, Inc. , Informatica Corporation, and Microstrategy are often also mentioned. These companies can serve as customer examples. Employees who are often in the news are usually open to starting conversations or exploring ideas. Nudge.ai's sales AI saw Darren Peirce, Chris Ney, and Mike Ormerod from Magnitude Software recently mentioned in the news. In this contributed article, Darren Peirce, CTO of Magnitude Software, discusses how companies that will win using machine learning will be those that figure out how to take the innovation, apply it in simple ways, and make it consumable for the end user. The SoftBank Vision Fund figures in several of the biggest rounds in the month. 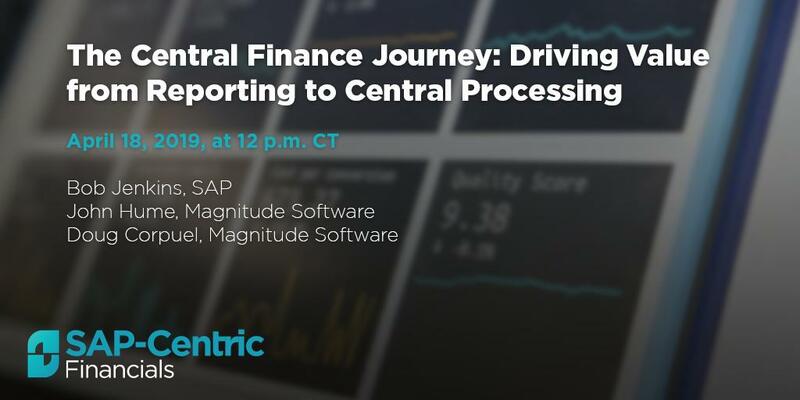 Enterprise Information Management (EIM) software provider Magnitude Software has released a solution allowing organisations to integrate ERP data from a variety of sources into SAP S/4HANA in near-real time. Who in your network can introduce you to Magnitude Software? Nudge.ai finds the best pathway to reach contacts at this company.